Gaze upon this stunningly beautiful and amazingly capable 1979 CJ-7 Jeep Wrangler Renegade. 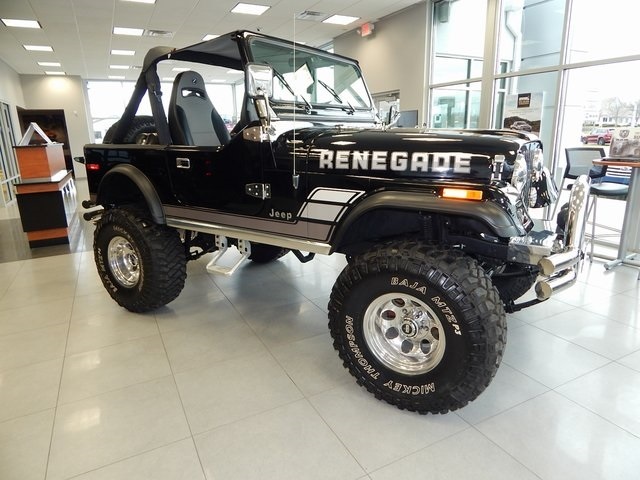 Not just any '79 Renegade, but a custom build quality enough to be appraised by Steve Linden Specialized Vintage Vehicle Services of Smithtown, NY on May 11th 2017. Stop in to see the full build sheet including but definitely NOT LIMITED TO: an AMC 360 CID V-8 that COMES WITH A WARRANTY(see dealer for details) dumping the exhaust into long-tube headers and full exhaust, mated to a Tremec T176 4-speed manual transmission. 4" suspension lift, Dana front and rear-ends mated to a Dana 300 transfer case. All rollin' on a stout set of 35" Mickey Thompson BAJA MTZ P3's; of course rounding a set of 15" Aluminum Mickey's. 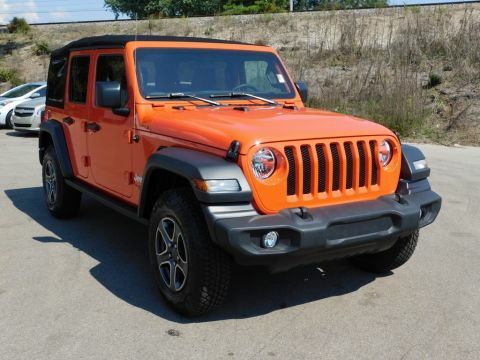 Not only does the motor sound amazing, but take off either top and crank the tunes through the custom stereo pumping 500 watts from the amp to the custom Rockford Fosgate speaker pods!! Oh Yeah!! 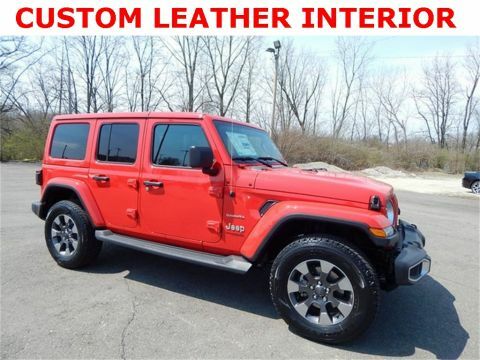 If this toned down description doesn't blow you away, the air horn certainly will! Stop by, check out and be wowed by this immaculate CJ-7. We love our Wranglers here just as much as you! 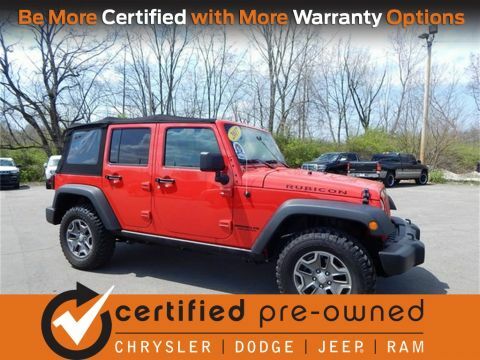 We're not just any Jeep store this is The Wetzel Jeep; where even the owner drives a Wrangler and Scrambler daily!